Home Headlines Prepare for Sleuthing and Skulduggery in Space 1889: Murder on the Ether Express! 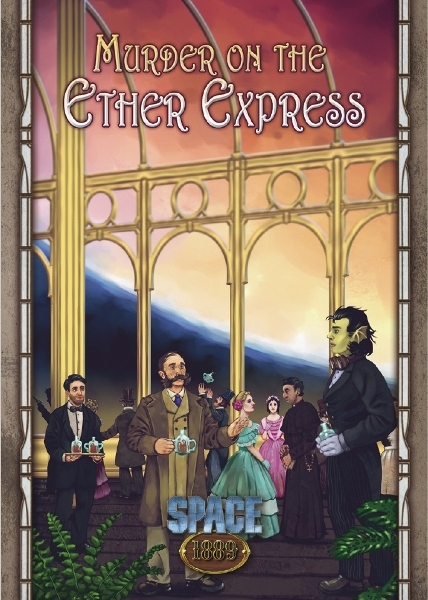 Today we’re really pleased to announce the release of Space 1889: Murder on the Ether Express, a brand new adventure for Clockwork Publishing’s acclaimed Space 1889 RPG. Space 1889: Murder on the Ether Express for the Ubiquity version of Space 1889, is now available in print and PDF on Modiphius.net as part of our Space 1889 Collection. We hope you enjoy this new adventure and look out for more great Space 1889 books and supplements coming soon!